A love of the outdoor was the inspiration for this handsome original Black Bear Folding Firescreen. 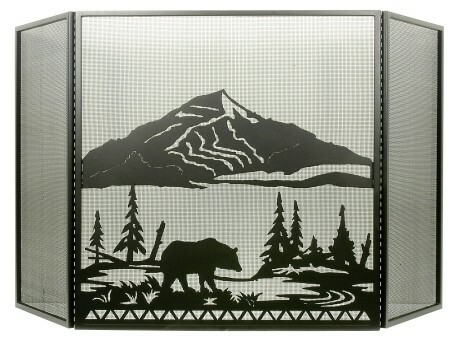 This Black Bear with woods and mountain firescreen has a Black finish. Made in the USA. A love of the outdoor was the inspiration for this handsome original Black Bear Folding Firescreen. 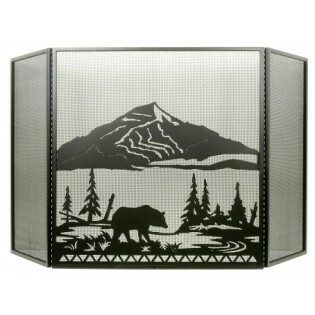 This Black Bear with woods and mountain firescreen has a Black finish.